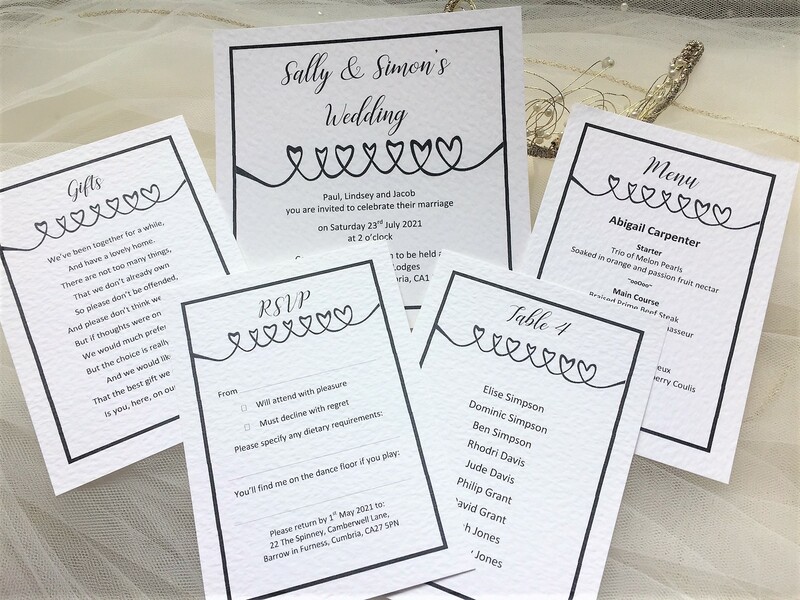 Linked Hearts RSVP postcards are available in either white or ivory hammered card (270gsm) or brown kraft card (280gsm) to match your Linked Heart wedding invitations. 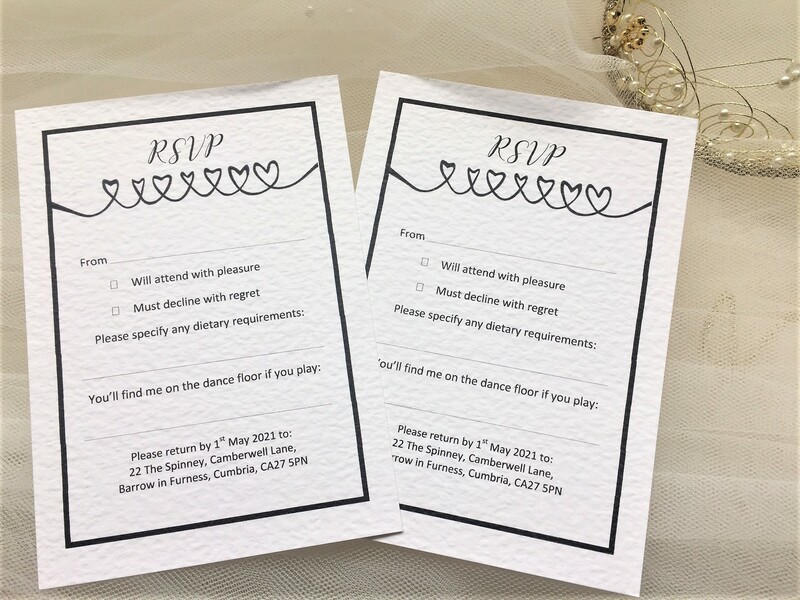 A6 postcard size, all your guests need to do is complete the card, pop it in an envelope and post it back. If you prefer to have the return address posted on the reverse please confirm this in the comments box at checkout. 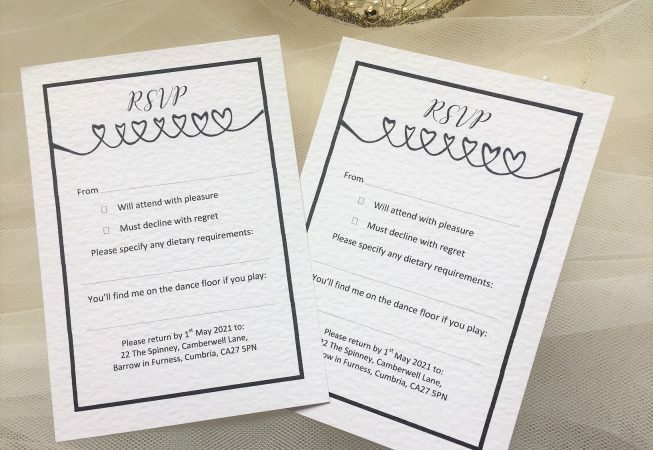 Linked Heart RSVP postcards are printed in the same typeface as your invitations. We can print them in any typeface of your choice. 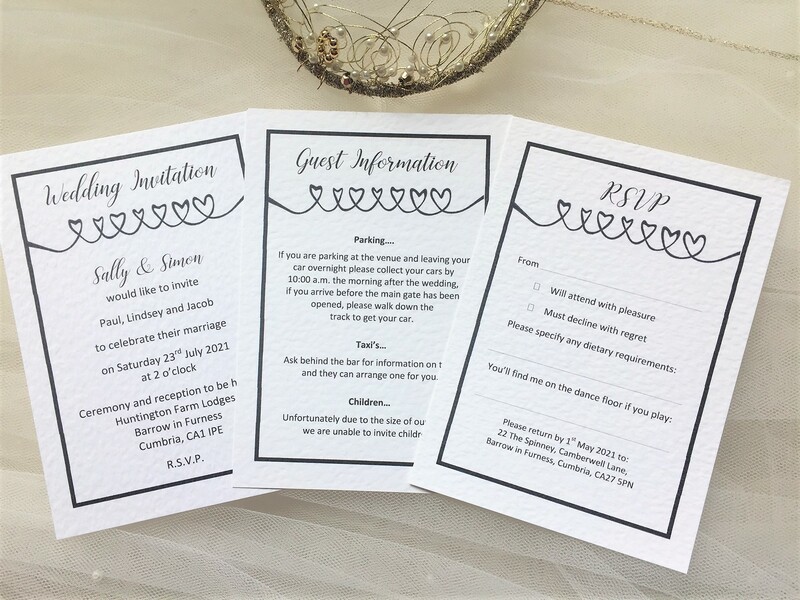 The Linked Hearts RSVP Postcards form part of the Linked Hearts Wedding Stationery Range. We have short lead times, our printing is done in house. 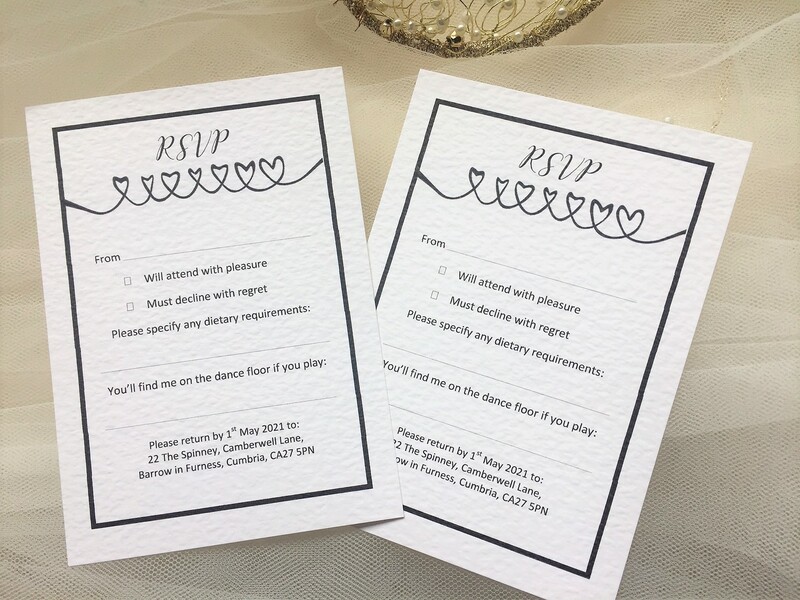 RSVP postcards can be ordered and supplied within a short timescale, usually 3-4 days for quick delivery in the UK.